Reading is a great activity for mom and dad to do with their children regardless of their age. It can help boost language development while inspiring a love of books and reading early in life. 1. You don’t have to follow the story exactly. If your child is too young to know the words, you can talk about the pictures, point out interesting shapes, or even make up your own ending. 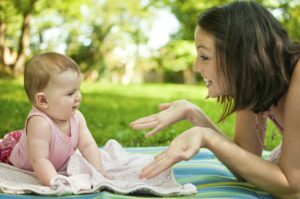 Just talking to your baby helps to develop their language skills. 2. Cuddle your child close. Make them feel safe and comfortable while you read together. Story time can be a great way to calm your child down and get them ready for bed. 3. Be a little silly. Play around with different noises or use different voices while telling a story. This can help keep your child’s attention and make story time more fun for everyone. 4. Every little bit helps. 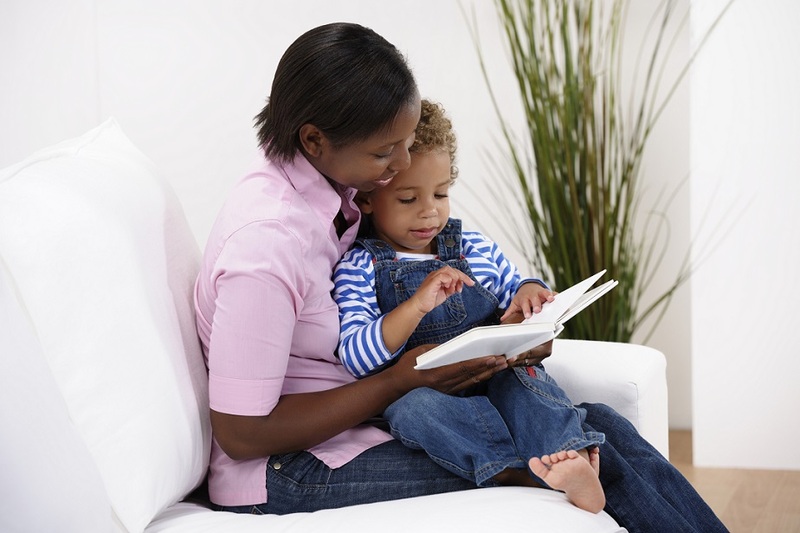 Reading with your child is great for their development, whether it is for 10 minutes or an hour at a time. 5. Follow along with the words. Help your child follow along with the story by pointing to each word you read from left to right. 6. Let your child be the storyteller. Give them a shot at telling the story their own way, or take turns acting as different characters. Asking questions is a great way to see if your child understands what you read to them. Even if your child is too young to respond, questions are a good way to encourage two-way communication. Want more information on communication development? Find out more info on how baby’s eye contact develops and what milestones baby should be reaching. Baby sign language can be a great way to communicate with baby and possibly help reduce tantrums. Next Next post: What is Early Intervention?